Despite spirited opposition from Republicans, the legislature’s Public Health Committee green-lighted a measure Friday that would ban deceptive practices by the state’s so-called crisis pregnancy centers. 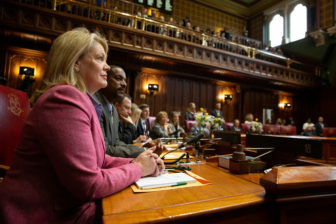 The bill would halt misleading advertising that is posted at any of Connecticut’s 25 or so faith-based pregnancy centers or displayed on the centers’ websites or in brochures. Critics say workers at the facilities sometimes pose as medical staff to lure women and hand out misleading information about abortions, or imply in literature that they offer medical services when they don’t. Opponents on Friday said the proposal unfairly targeted the pregnancy centers. They questioned why other places, like plastic surgery facilities, weren’t included in the bill. Other committee members expressed concern about the additional powers the plan would give to Attorney General William Tong’s office. Under the measure, Tong’s office could seek a court injunction to stop deceptive practices. Faith-based centers found in violation of the law may be required to distribute “corrective” advertising, post a notice that corrects the false information, or pay a fine. Proponents argued that women dealing with unplanned pregnancies shouldn’t have to sort out confusing messages or be misled into showing up at the wrong facilities. 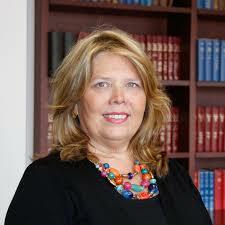 “This bill is quite different from somebody looking for cosmetic surgery or weight loss,” said Sen. Mary Daugherty Abrams, D-Cheshire. “This is about a timely situation – an unplanned pregnancy – where a woman is looking for medical services that they’re legally entitled to and they shouldn’t have to spend extra time figuring out who can provide that or not provide that. “If there’s something on the website or in a pamphlet that leads them to believe they’re going someplace that will give them the comprehensive services … and they have to take a day off of work or find transportation or whatever the case may be, only to figure out that that’s not the case, I don’t think women should be put through that,” Daugherty Abrams added. A similar proposal was adopted by the Hartford City Council in 2017 and went into effect at the local level last year. Hartford’s ordinance mandates that faith-based pregnancy centers disclose whether their staff carry medical licenses, and it prohibits the establishments from engaging in false or deceptive advertising practices. City officials had received complaints about a facility on Jefferson Street called the Hartford Women’s Center, located just steps from an independent abortion clinic. Complainants said the Women’s Center was set up there to intercept patients heading for the clinic. Beginning Oct. 1, city pregnancy centers that did not have a licensed medical provider on staff or on site were required to post a sign in the window and reception area saying so. The centers also were required to disclose it on telephone calls and on their websites. Facilities that don’t comply may be fined up to $100 a day. The statewide proposal will still need approval from the House and Senate. A majority of the health committee members voted in favor of it Friday.